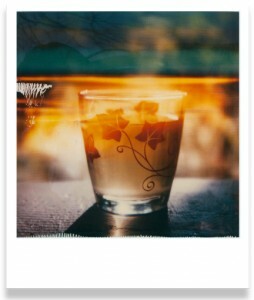 My solo exhibition, Polaroids & Afternoon, will open at Westchester Community College Center for the Digital Arts Lobby Gallery in Downtown Peekskill, NY on April 26 and run through Friday, May 18, 2012. New works never seen before escape from the Polaroid archives! Captured between the years of 1998 and 2005, these images emerge from their dormancy to reveal a hidden strain within the artist’s perception and—recombined—finally reveal their coded messages. Color, obscure signs, and the mystery of all things form the elements which—in a symbolist inspired moment of alchemy—unveil small wonders. A gothic inflected tale of Redemption or a Modernist quest for everyday Transcendence? You decide! Accompanied by Afternoon, 62 minute color video, which further explores the limits of perception. Cloaked in the observation of a park bench in a wooded grove on a spring afternoon, the viewer is invited to an experience unfolding in real time.